On Tuesday night, the Liberal/National coalition government announced their 2019 Federal Budget. This was a pre-election budget with tax cut promises and major spending in infrastructure and essential services. Tax relief for low and middle income earners ($0-$125,000 pa) – propose to increase in the Low and Middle Income Earners Tax Offset (LMITO) from $200 to $255 per annum with the maximum offset amount also increasing from $530 to $1,080 per annum. This will apply to the current 2018-19 financial year and will be received once income tax returns are lodged from 1 July 2019. Changes to tax thresholds – The upper threshold for the 19% income tax bracket will increase to $45,000 (from $41,000) from 1 July 2022. The 32.5% tax rate will reduce to 30% from July 2024 and the 37% tax rate will be abolished, also from 1 July 2024. From 1 July 2024, 94% of Australian taxpayers will have a personal tax rate of 30% or less. The instant write-off that has previously been available to small businesses will be extended to medium businesses (ie. a medium business is one with turnover of between $10 million but less than $50 million). The threshold for the instant write off will increase from the current $25,000 to $30,000 per asset. Removal of the work test – Under current superannuation law, a person wishing to make voluntary after-tax (non-concessional) or personal tax-deductible contributions to super must meet a work test if they are aged from 65 to 74. This work test prescribes a person be gainfully employed, or self-employed for a period of at least 40 hours, worked within 30 consecutive days in the financial year in which they intend to make their contribution to super. To better align superannuation contributions with the eligibility age for the age pension, the government has announced that the work test requirement will no longer apply to people aged 65 or 66. This measure is due to take effect from 1 July 2020. Spouse contributions – When a person makes a contribution to super for an eligible spouse (conditions apply), the contributing spouse may be entitled to receive a tax offset of up to $540. However, the tax offset is currently only available where the receiving spouse is under 70 years of age. The Budget announcement proposes to increase the age limit to 74. 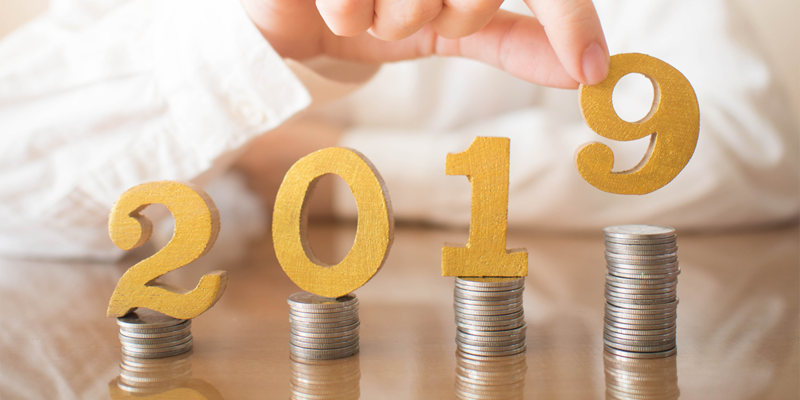 Bring-forward rules extended to age 66 – Clients aged 65 and 66 may soon be able to utilise the bring-forward rules to make three years’ worth of non-concessional contributions, which are capped at $100,000 a year, to their superannuation in a single year. Currently the bring-forward rules are only available for clients aged less than 65 years old. The Budget contained literally hundreds of other measures, including funding for education, skills development and new apprenticeships, job creation, Queensland flood relief for primary producers, funding for the Government’s response to the recent Banking Royal Commission, and significant money for roads, rail and infrastructure. With an election due in May, these promises will only get delivered if they get re-elected, and then they must get it through the Senate. It may be the case that Labor’s budget response is the more relevant announcement, but we won’t know that until after the likely May Federal election. If you have any questions or concerns regarding how any of these proposed changes could affect you, please contact Inovayt and talk to one of our financial advisors.